Everyday operations of a business involves the sending out of company memos. 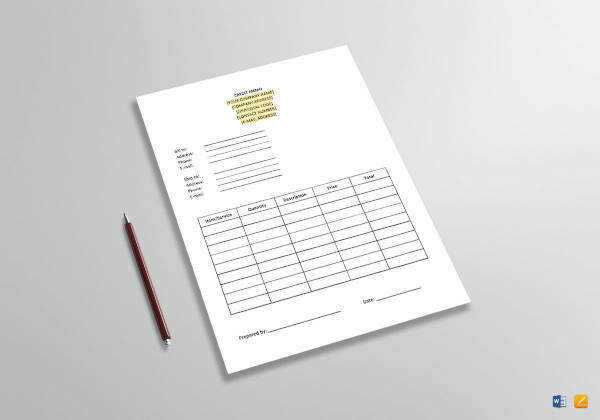 Business memos help companies communicate internally and with other entities or companies. 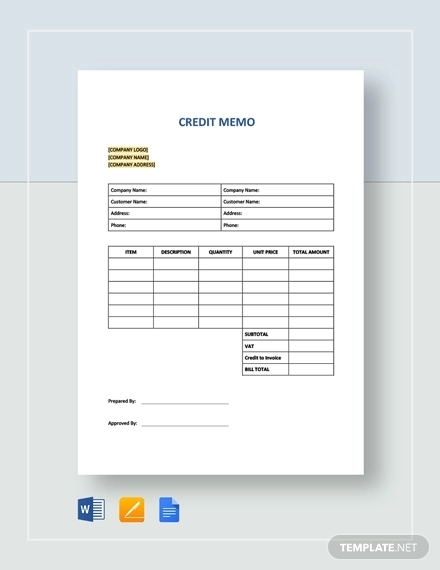 Memos such as a credit memo form a vital part of a company’s daily operations. Memo examples, like legal memorandum, can be found in the site. Just go to our home page and do a search for the type of memo you like to know more. All examples in the site are available for download by clicking on the download link button under the sample of choice. 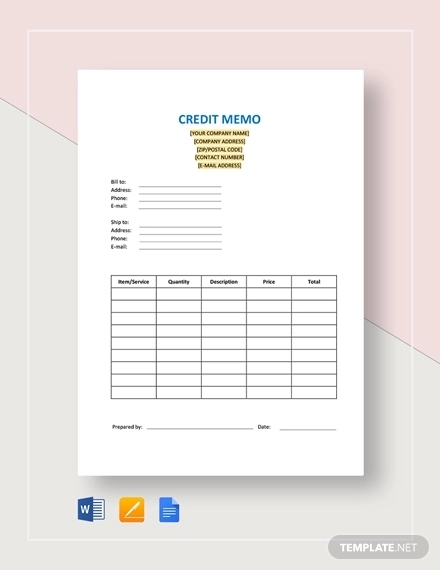 Scroll down to view more examples of credit memos. 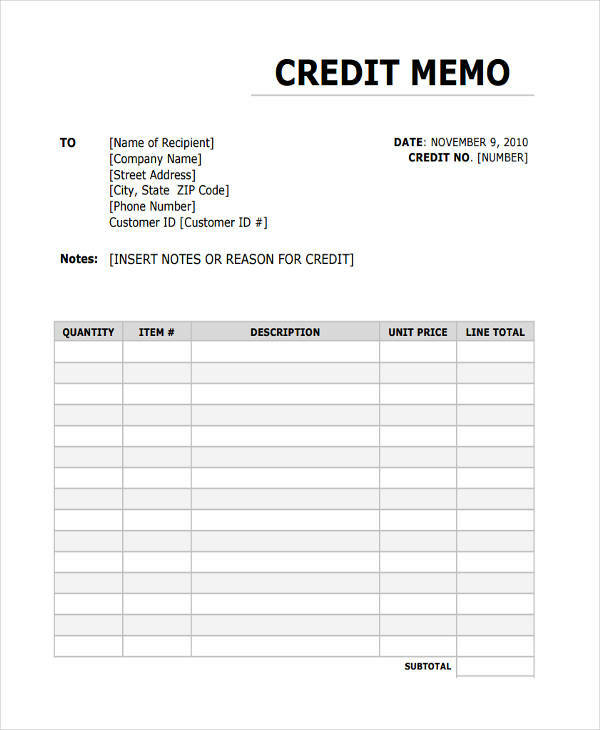 A credit memo is a short document issued by a seller to a buyer lowering the amount owed or his accounts payable from a previous invoice. 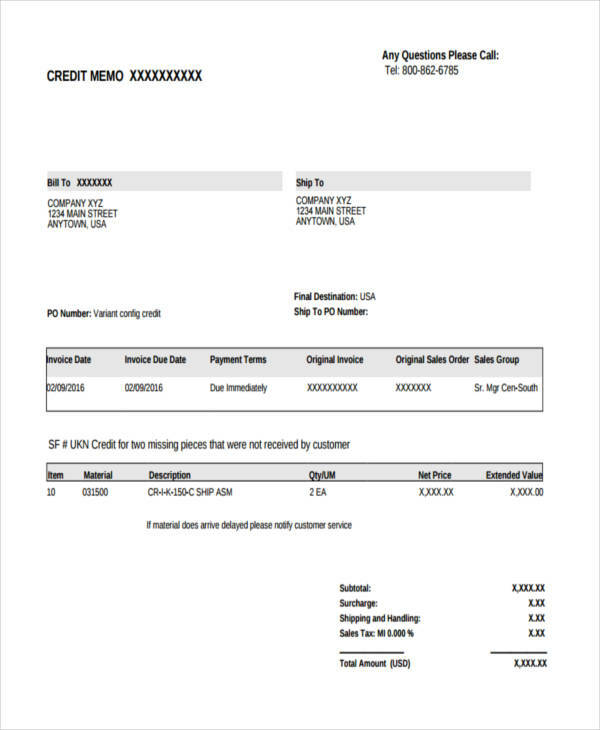 Credit memos are normally used when a buyer receives damaged, incomplete, or simply the wrong product. 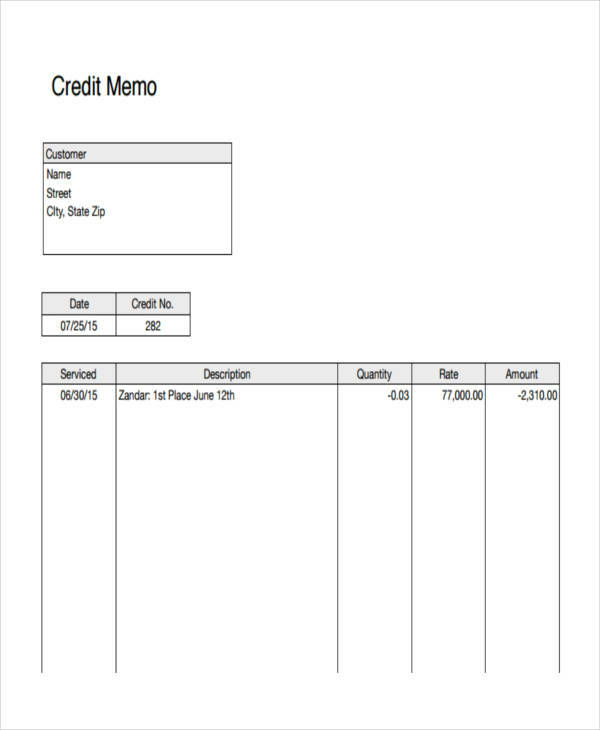 Credit memos are also used in giving a pre-negotiated discount to an issued invoice. 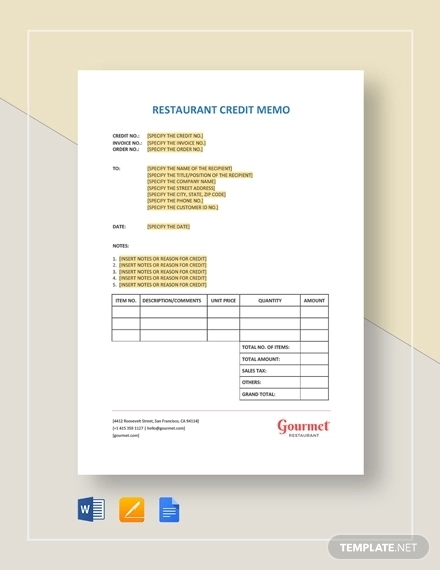 Sample memo and business memo examples seen on the page provide further information regarding credit memos and memos in general. Be sure to check out the other examples from parts of this site. Write Memo at the top of the page. 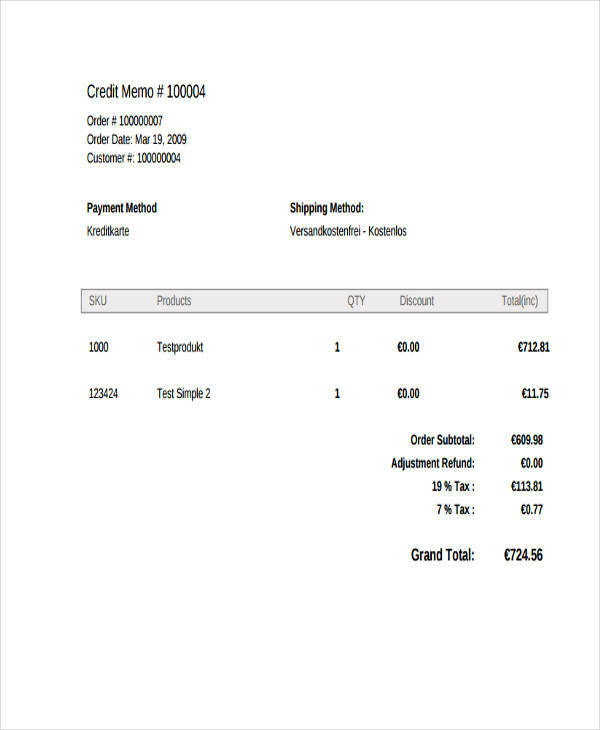 Type in customer information, date of the memo, original invoice number, and your unique credit memo number. Write in the quantity , description, reason for credit, and price of the items. Add all prices for total of each item and label as subtotal. Add in taxes for the total items. Place the total amount including taxes below and label “Total”. 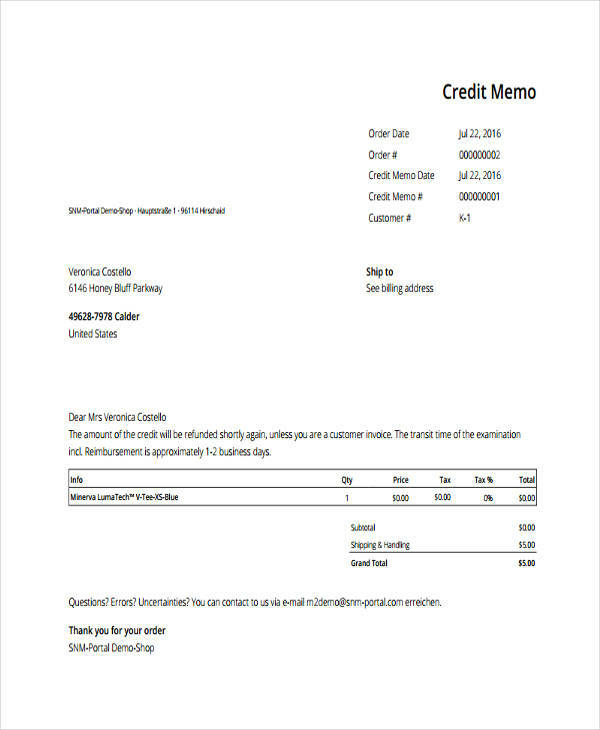 Professional Memo examples in PDF shown in the page can assist you in understanding a credit memo better. 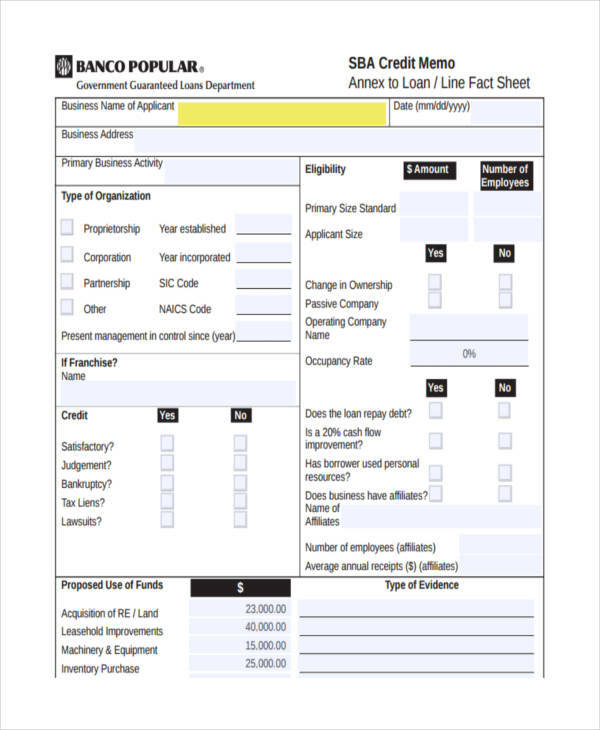 What Is the Difference between Debit Memo and Credit Memo? 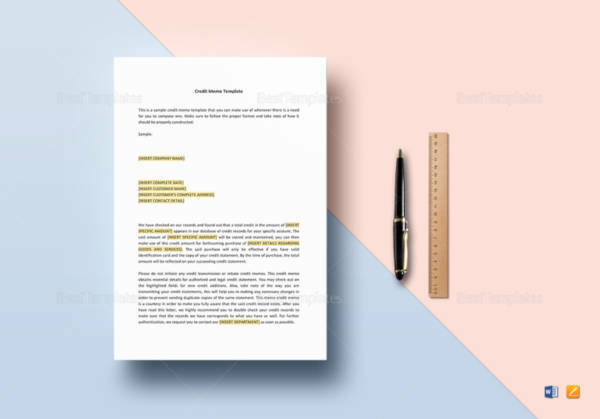 The main difference between a debit memo and a credit memo is that a debit memo is issued by the buyer and the credit memo issued by the seller or supplier. A credit memo reduces the total balance of a buyer’s account. 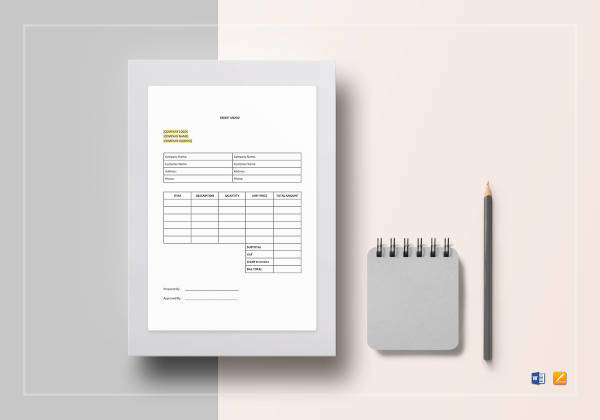 The process is usually started when a buyer issues a debit memo planning to reduce his balance with a discount due either to damaged or wrong goods. The buyer would wait for the seller to issue a credit memo verifying agreement to the debit memo. Memo examples and action memo examples on the page provide further information regarding a memo. Feel free to click on any download link button under each sample to access the file. 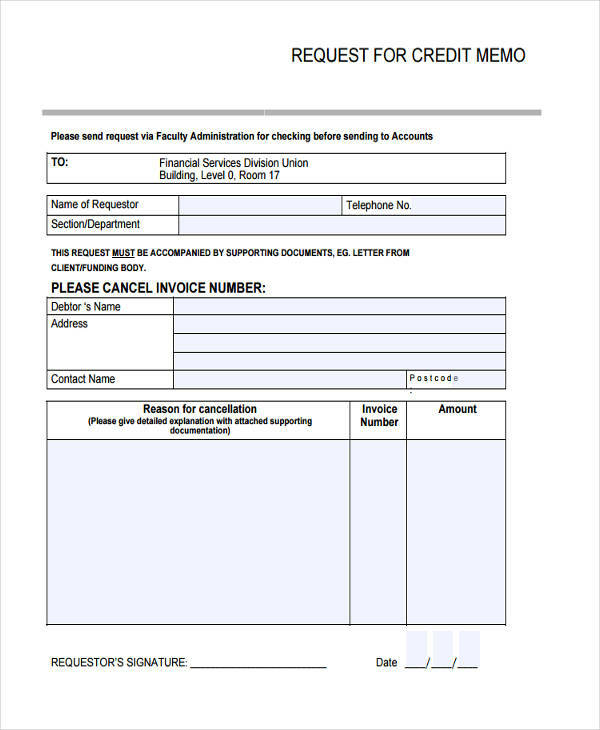 The credit memo shows an acceptance of the supplier for the return of a product or item. 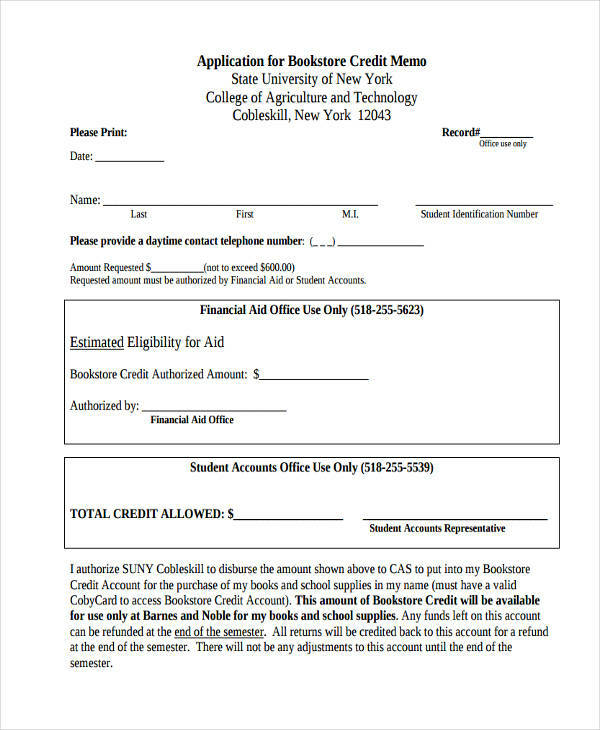 Information is provided by the credit memo regarding receipt of the returned items. Finally, a credit memo provides evidence of an accepted return. 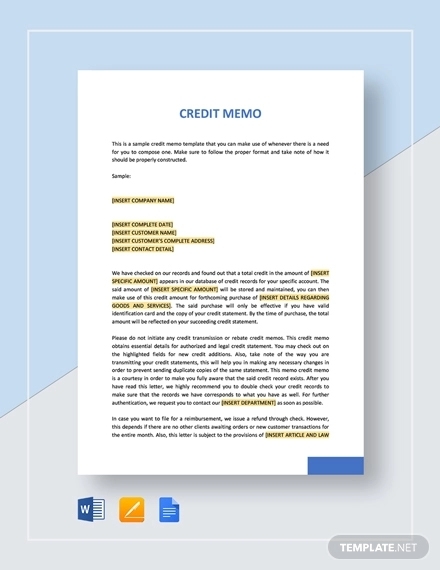 Memo examples in Word are shown in the page to assist you in the better understanding of a credit memo. Just click on the download link below a sample to access the sample.